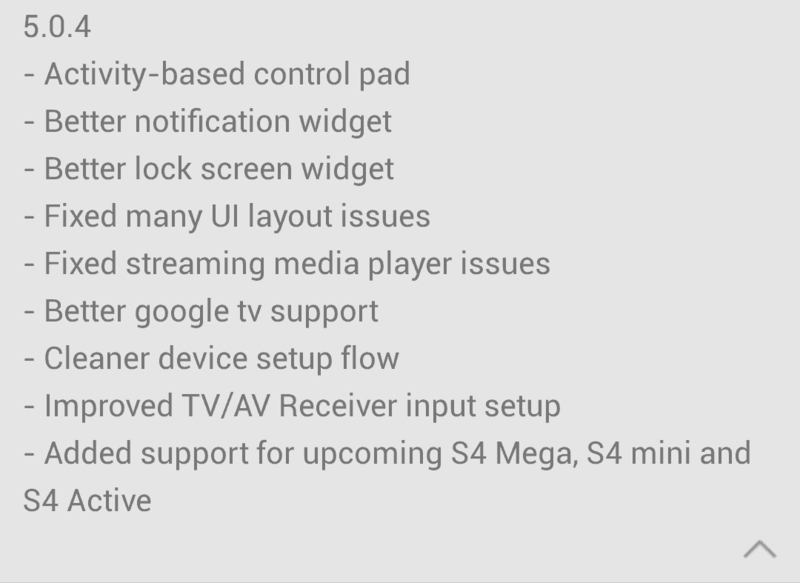 On a recent update of Samsung’s WatchON app on Google Play we can spot a short sentence that turn everything around. 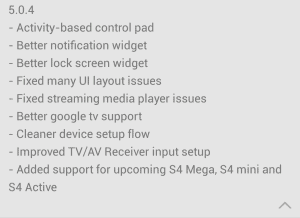 It says that the app was update to add support for 3 upcoming devices: Galaxy S4 Mini (we know about this one), Galaxy S4 Active (this one also) and surprisingly the Galaxy S4 Mega (??). We know about the Galaxy Mega line of devices but we have no idea about a Galaxy S4 ‘Mega’. Is this going to be a new version of the S4 but with a larger screen? That sounds more like a Note 3. For now we can’t say for sure if this is a Samsung typo or not, but we’re really interested in finding out what this is all about. Take a look at this screenshot with Samsung’s WatchON Google Play page, and look at the ‘what’s new’ section.